How Much Has the Jackson Hole Market Appreciated? The article was based on a study conducted by Owners.com and looked at the top 20 metropolitan markets that have recovered since the Global Financial Crisis of 2009. Top of the list was Modesto, CA and Reno, NV, which — based on a residential price-per-square-foot basis — increased from the lows of nearly a decade ago by 114% and 110%, respectively. 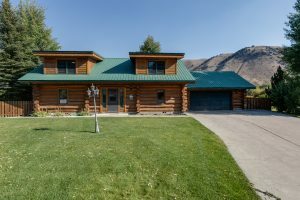 In many cases, however, the Jackson Hole real estate market is too nuanced to be captured using simply a blanket price-per-square-foot measurement. 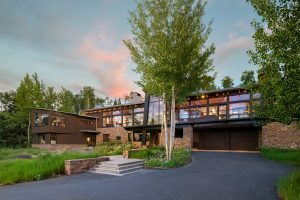 For example, a home on five acres north of town with sweeping Teton views isn’t an apples-to-apples comparison for a new “mountain modern” home in the Town of Jackson. More recently, a similar unit in the development listed for $595,000 is currently under contract. Three homes are currently on the market in Rafter J, where the least expensive listing price is $995,000. This West Bank home was remodeled in 2015. 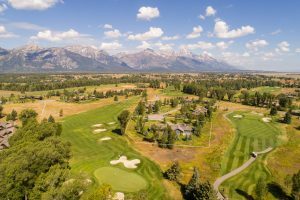 Three homes are currently on the market in Jackson Hole Golf and Tennis, where the least expensive listing price is $2,895,000. Based on the Teton Board of Realtors Multiple Listing Service, year-to-date sales in Teton County total nearly $700MM. That’s up more than 30% over the same period in 2017. And while the busy summer season is behind us, historically the fourth quarter in the regional real estate market also sees strong activity as both buyers and sellers strive to consummate sales before the year-end for tax reasons. As the leaves change color, it seems the Jackson Hole real estate market is poised to have its biggest year ever. https://robdeslauriers.com/wp-content/uploads/2018/08/HotelTerraFeatured.jpg 1000 1000 TeamRD https://robdeslauriers.com/wp-content/uploads/2016/09/RDLogo-2.png TeamRD2018-10-16 10:44:272018-11-09 08:55:10How Much Has the Jackson Hole Market Appreciated?